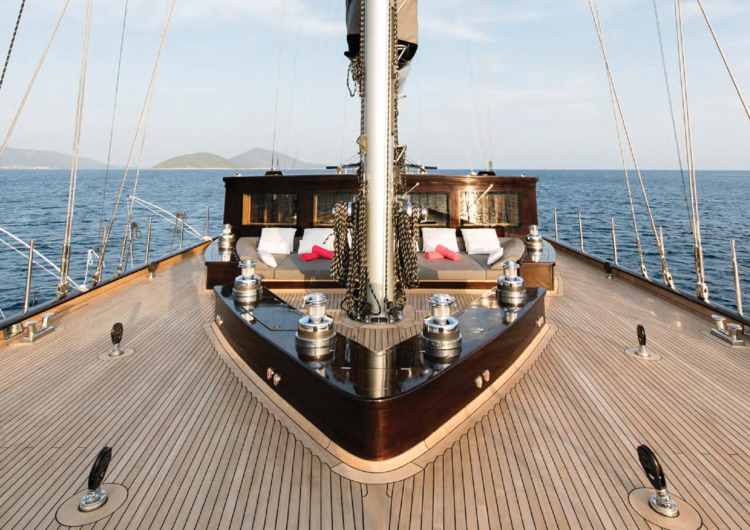 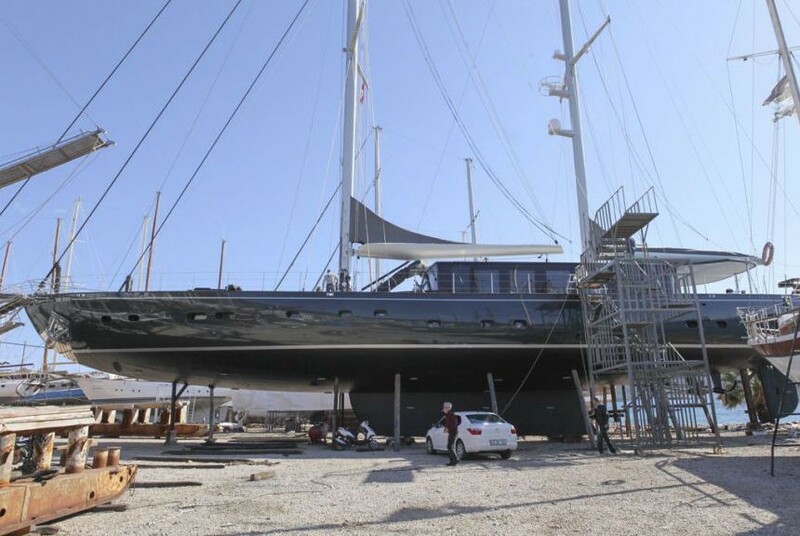 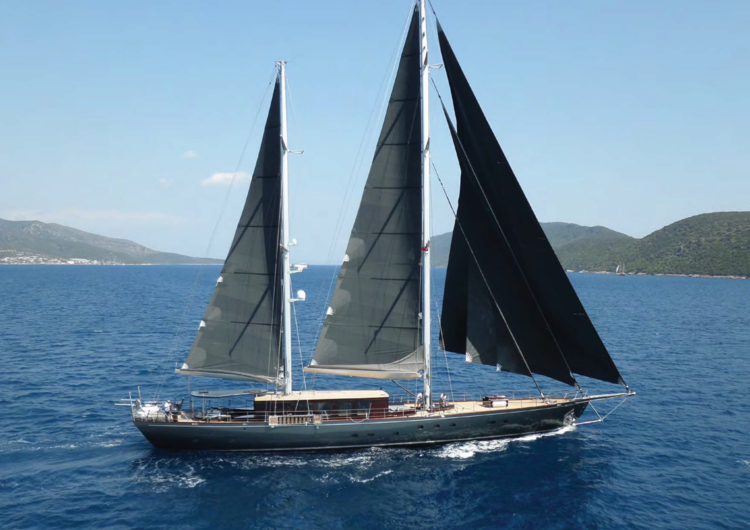 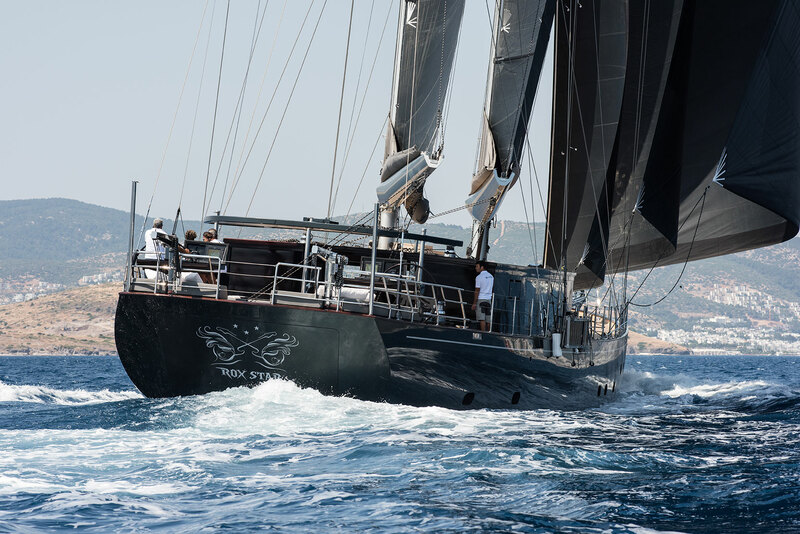 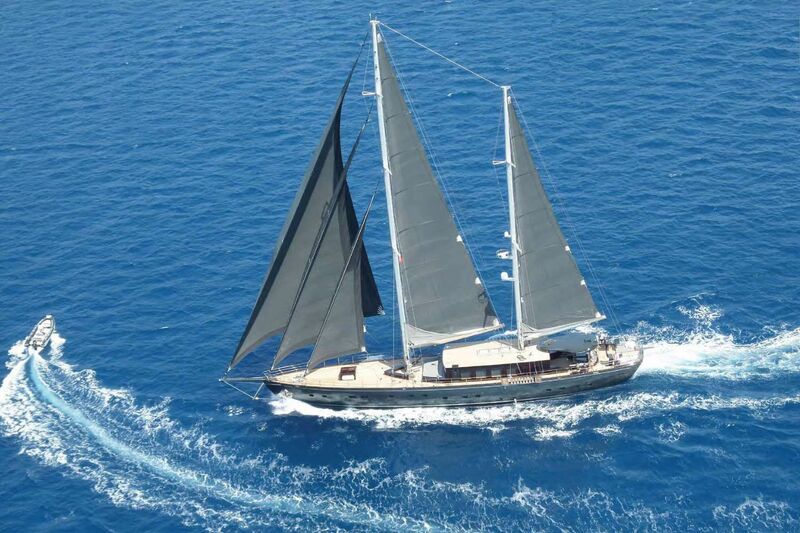 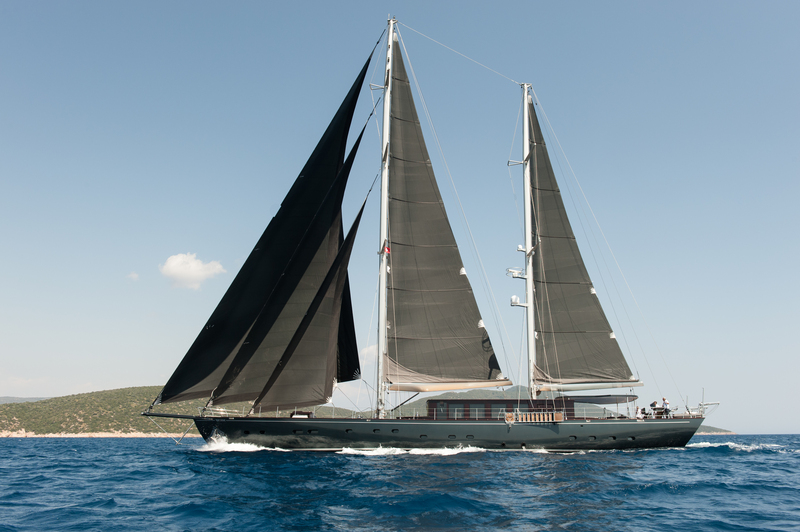 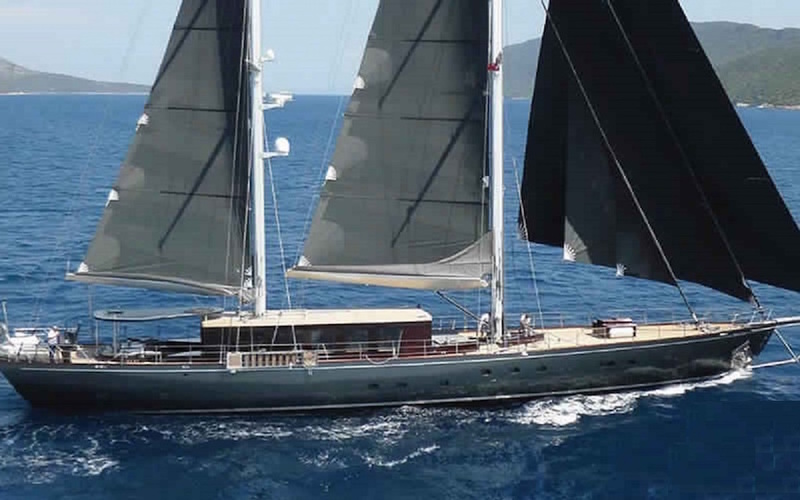 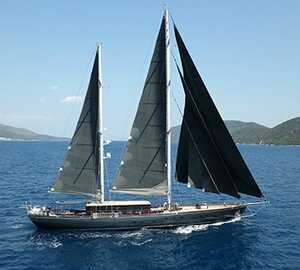 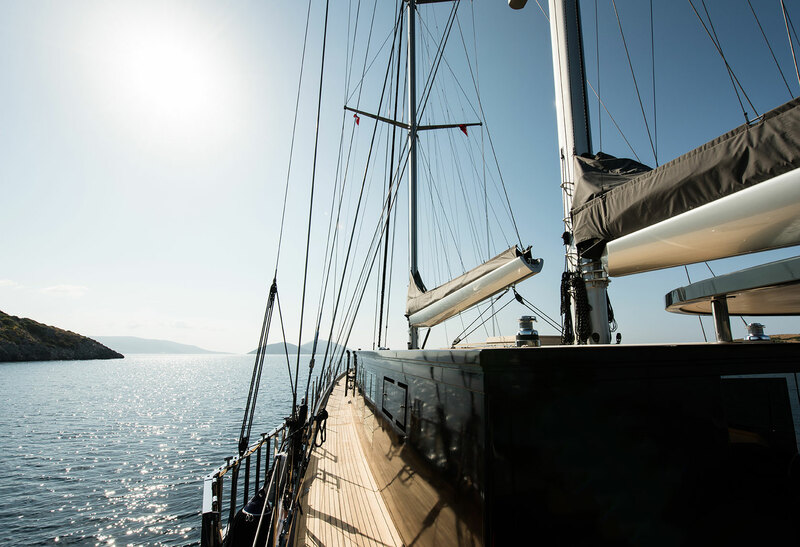 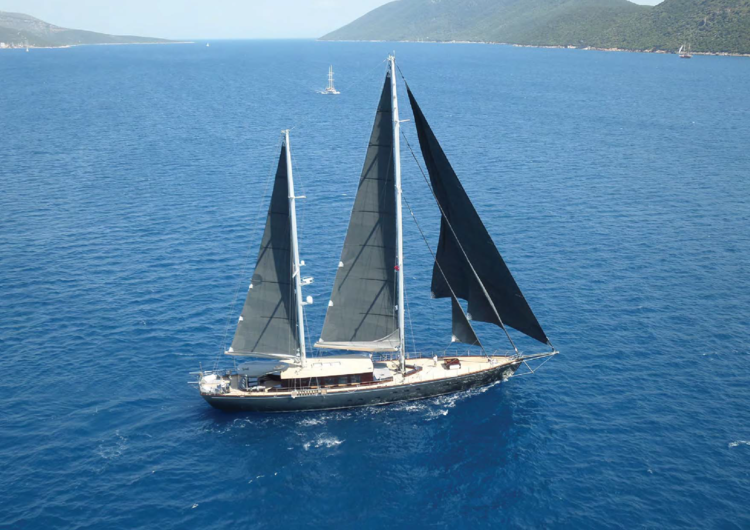 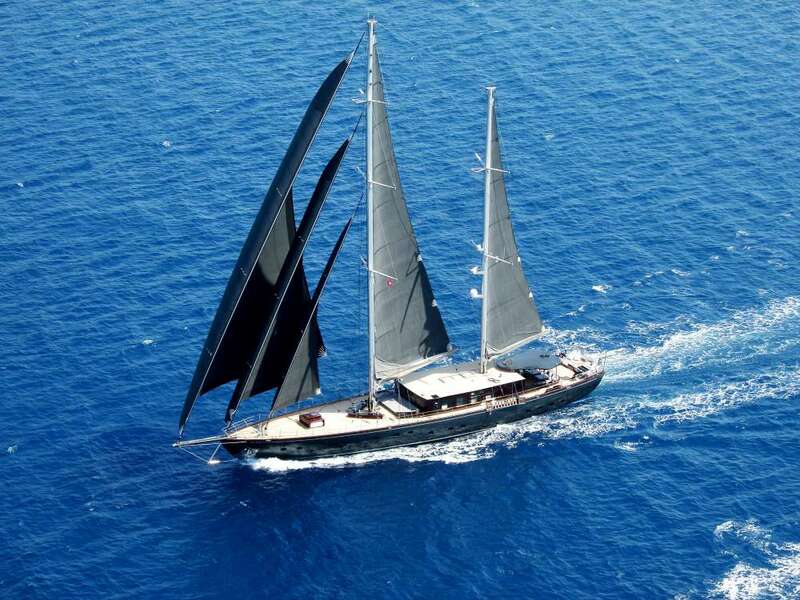 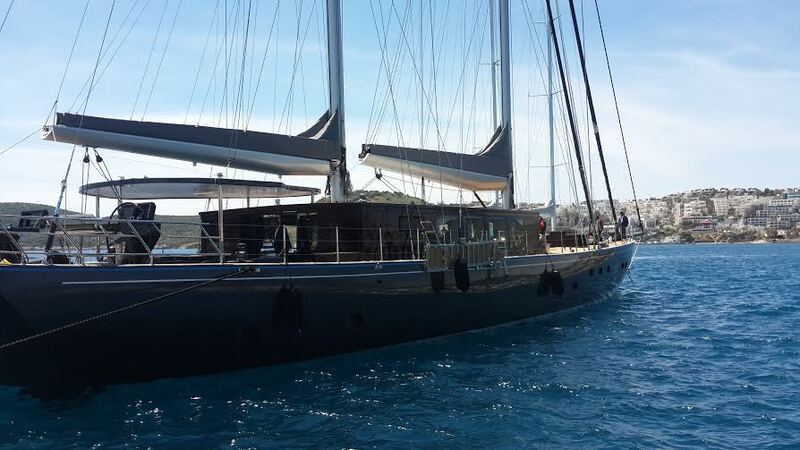 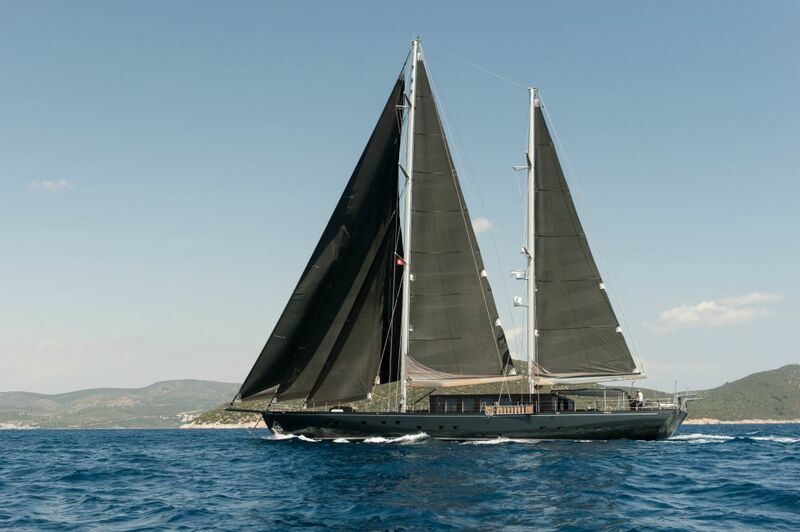 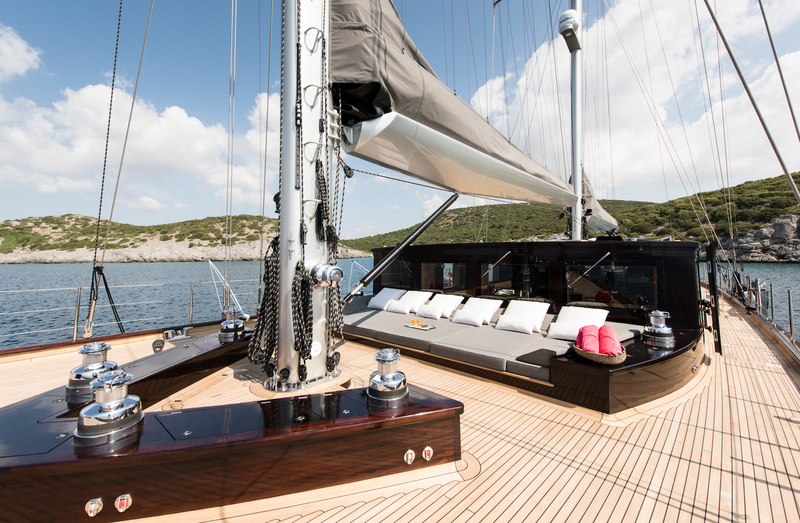 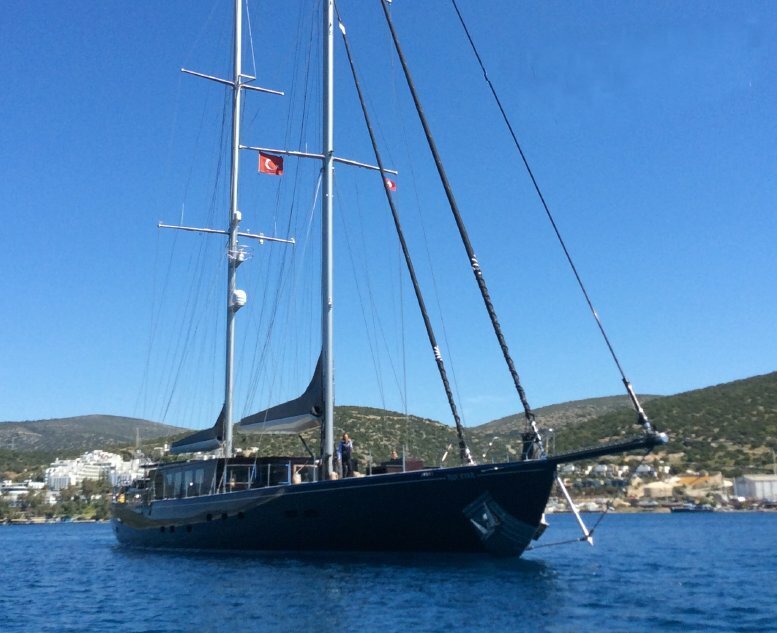 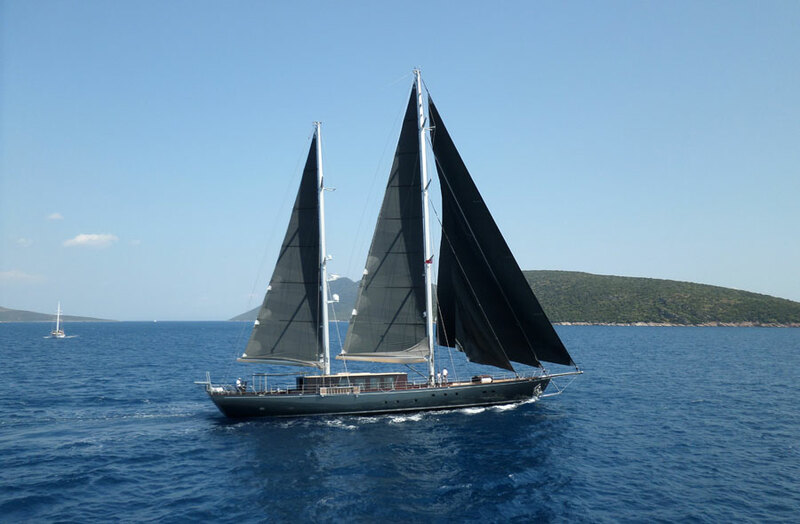 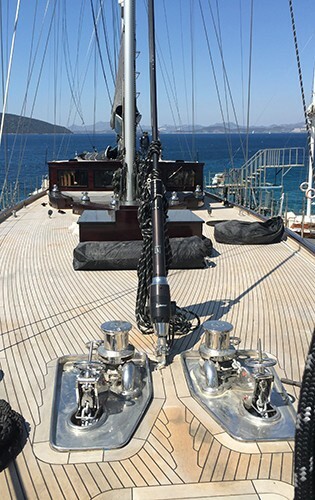 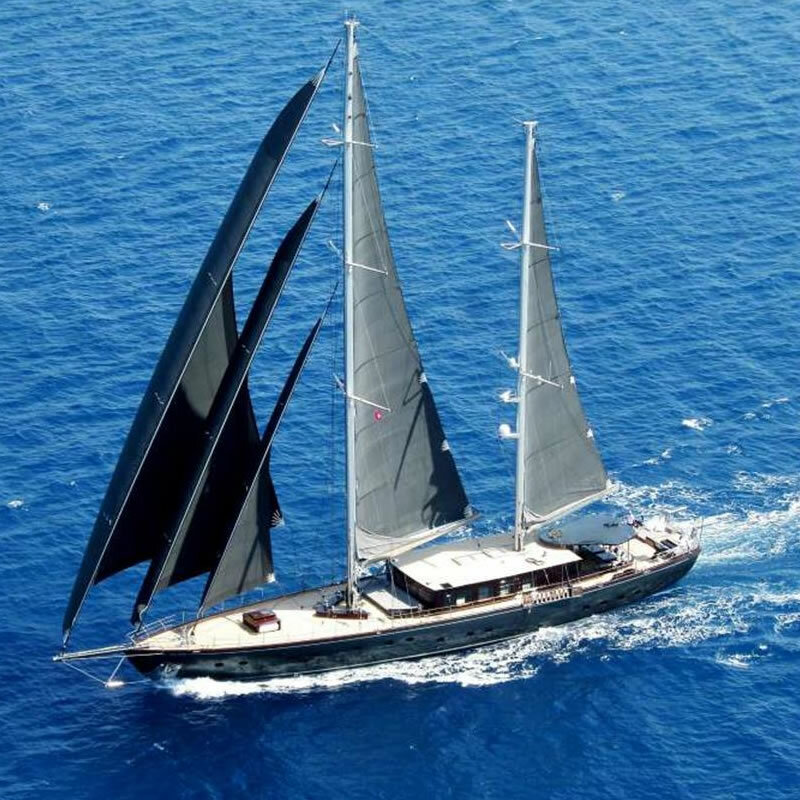 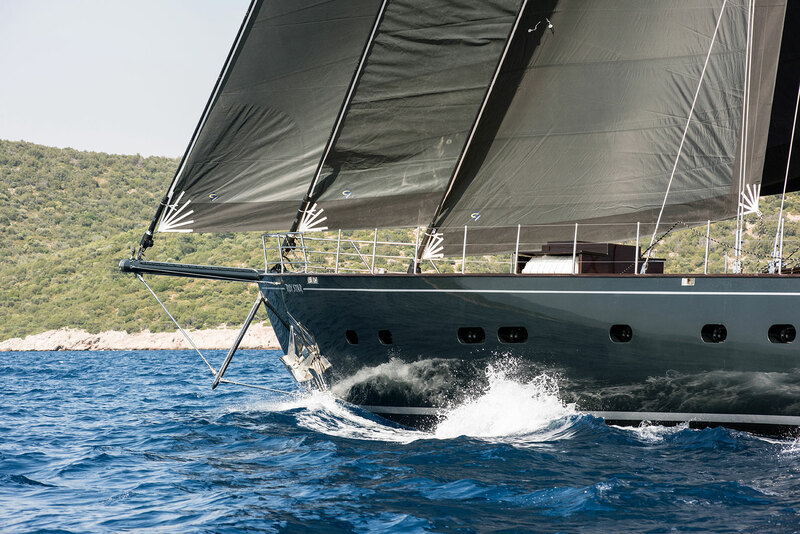 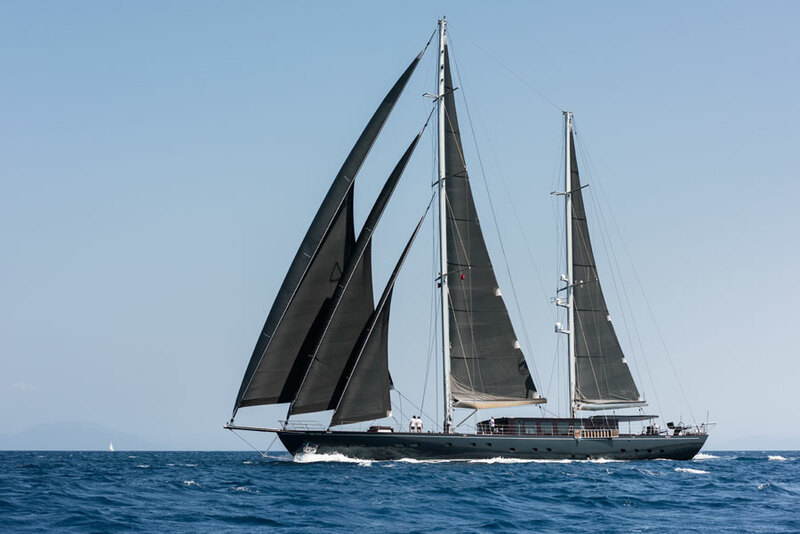 The graceful 2015-launched sailing yacht ROX STAR is a modern-classic 40-metre ketch, built by the Turkish shipyard Oguz Marin, based in Bodrum. 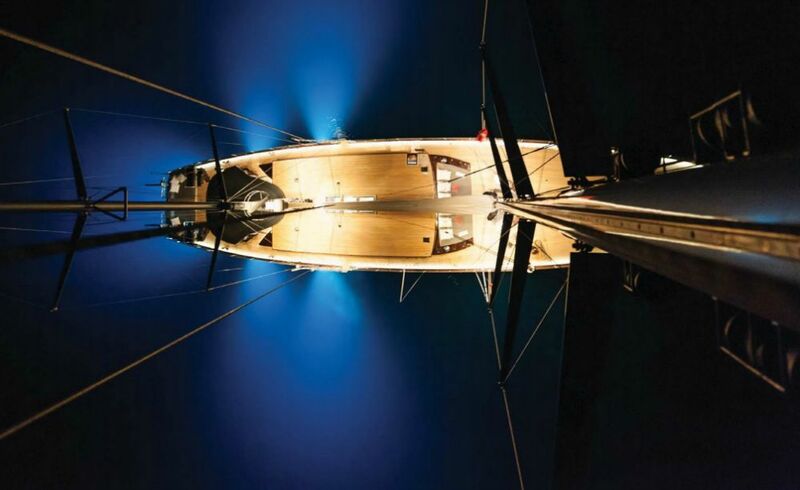 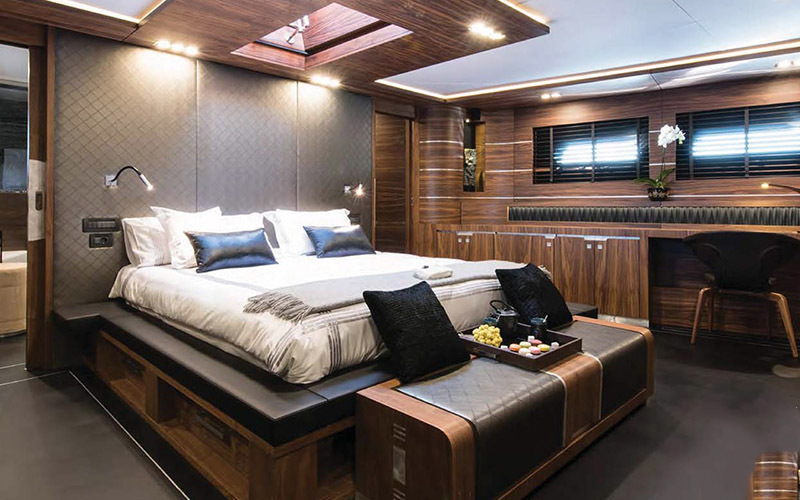 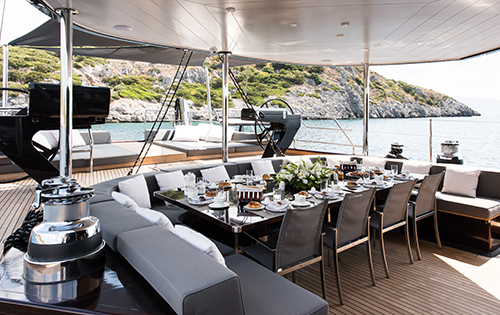 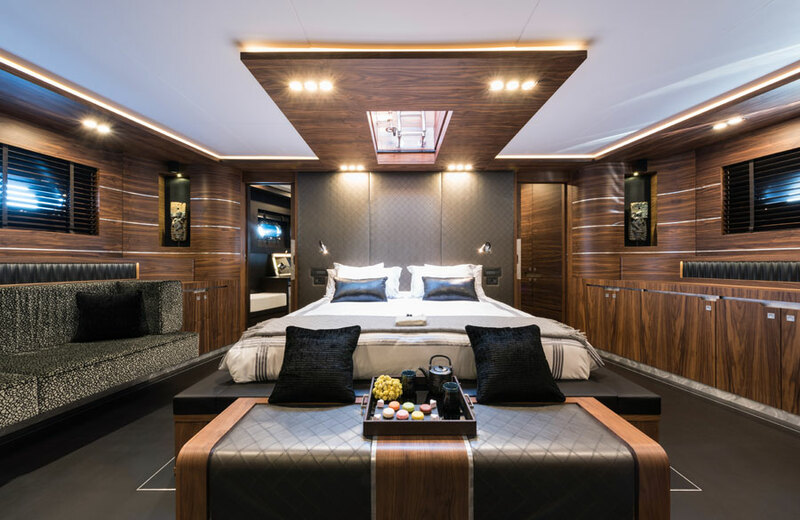 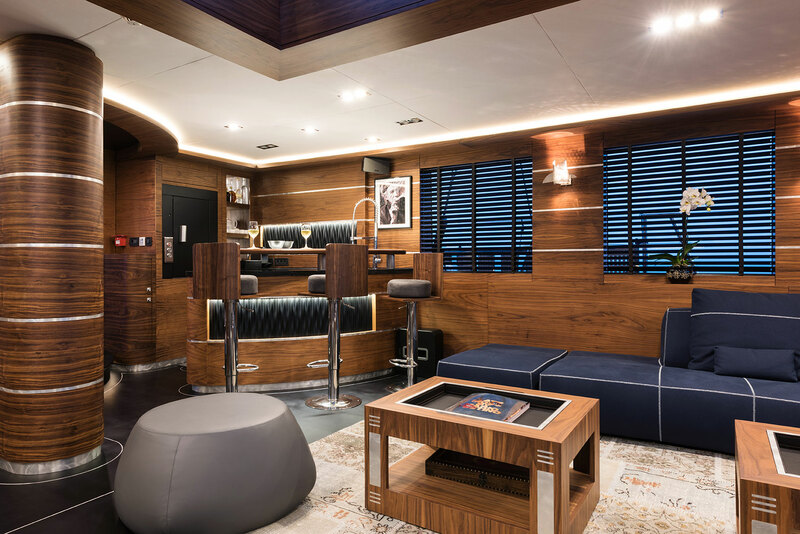 Boasting a striking pearlescent black hull, this superyacht has been superbly penned by the yard's in-house team, with interior design by K-Architectes. 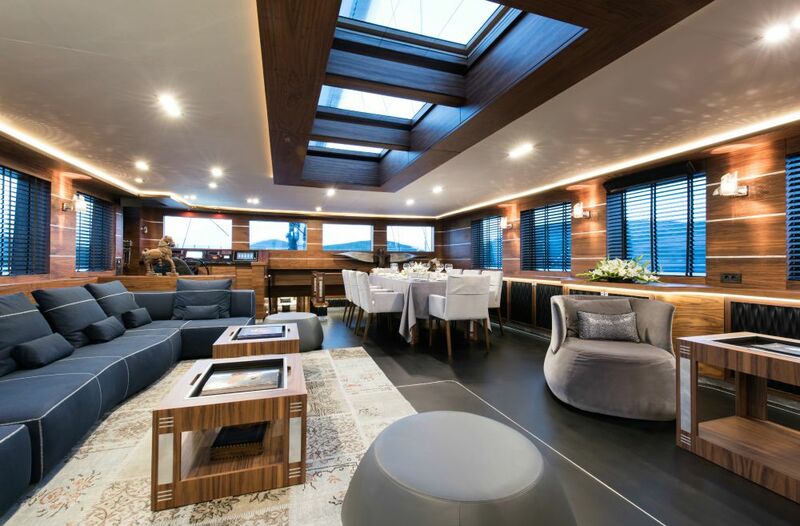 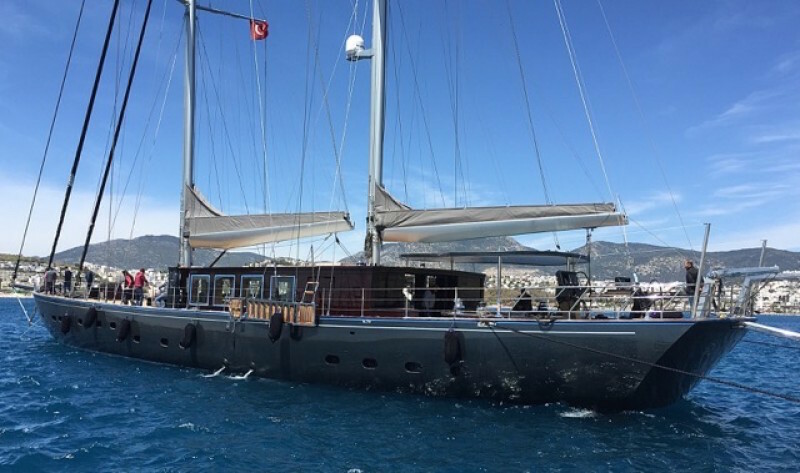 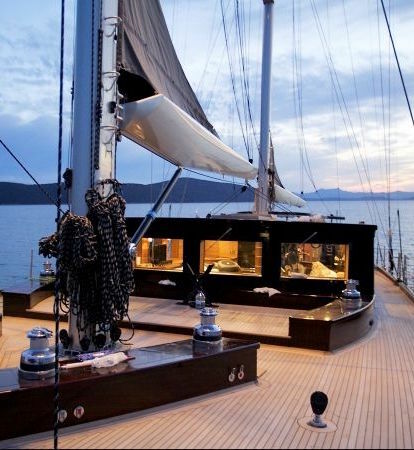 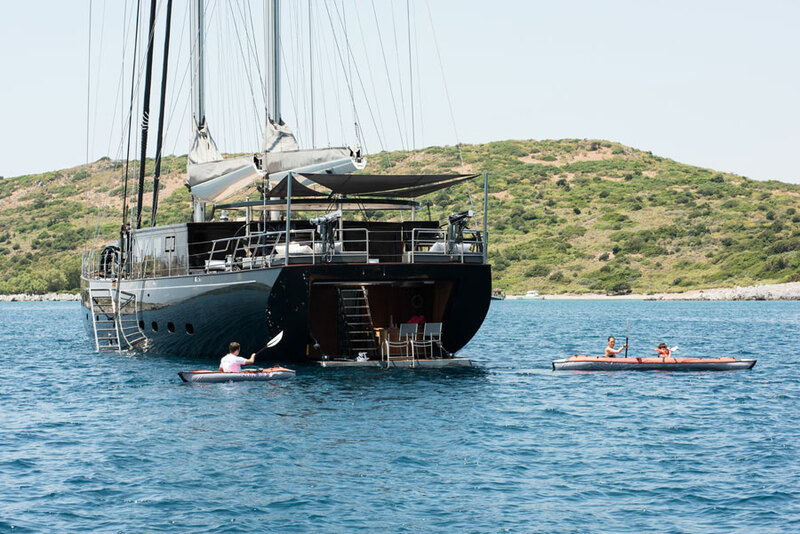 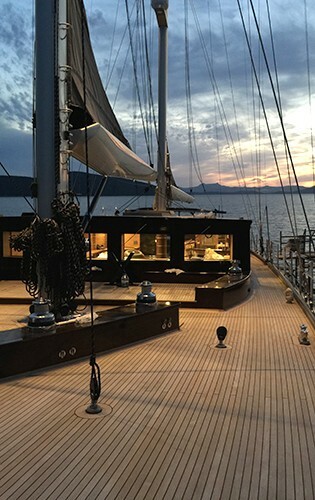 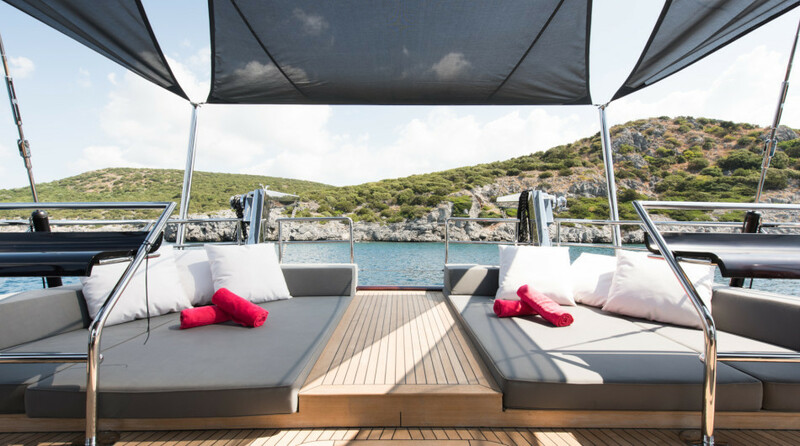 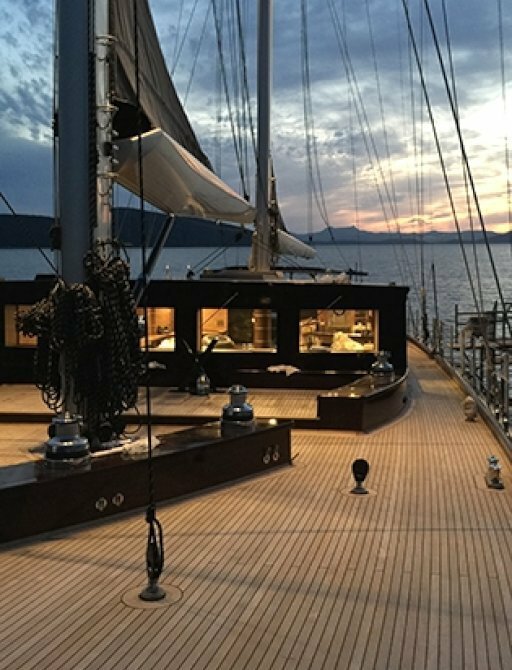 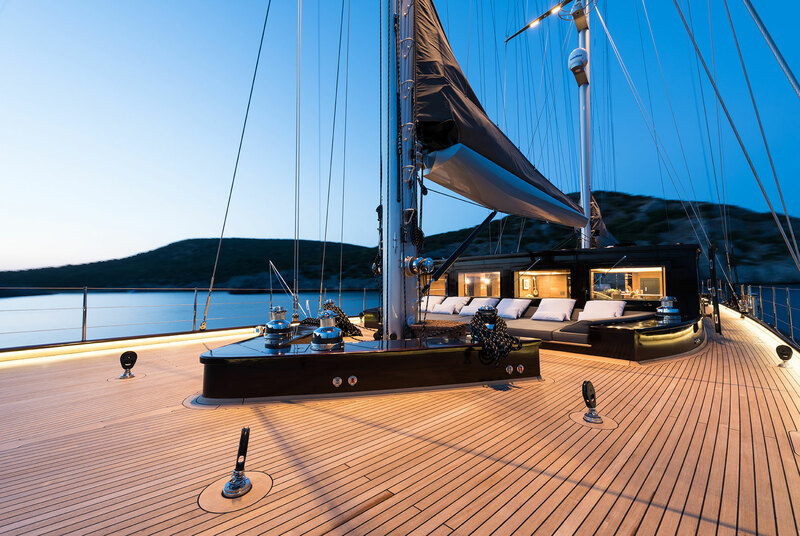 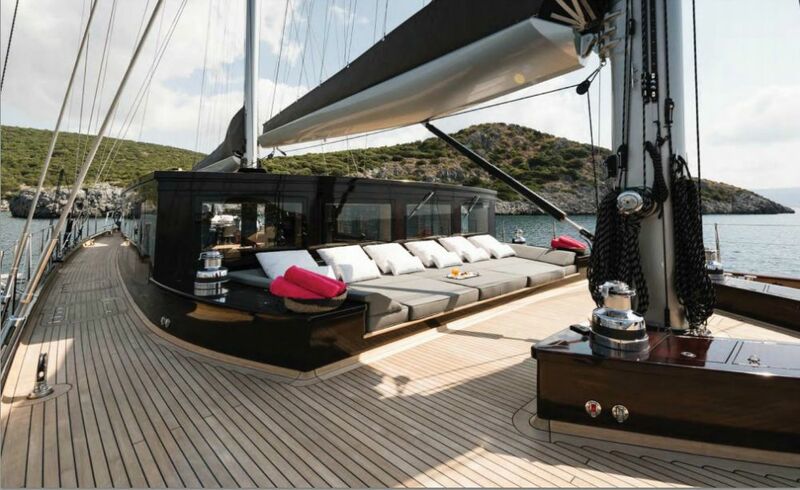 This beautiful, gulet-inspired super yacht offers deluxe accommodation to up to 10 charter guests in five elegant cabins, including a full-beam master suite with its own skylight that also provides private access to the foredeck above. 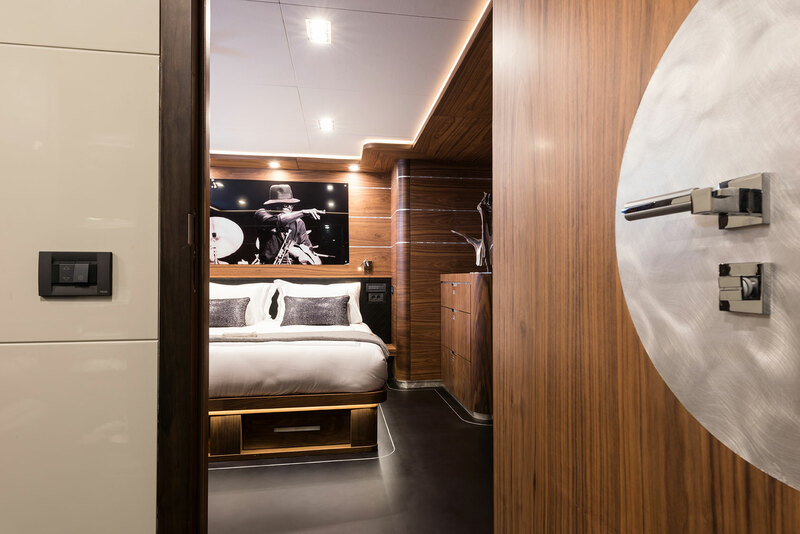 Moreover, there are four guest cabins, each representing a famous rock star. 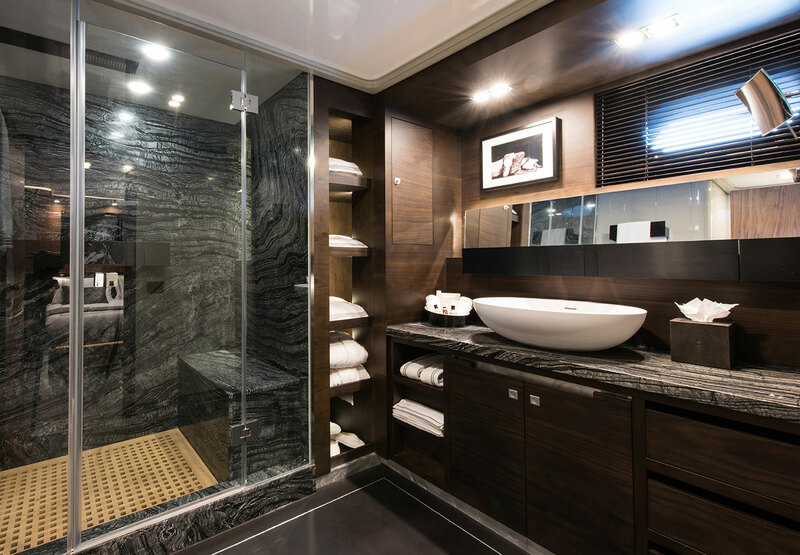 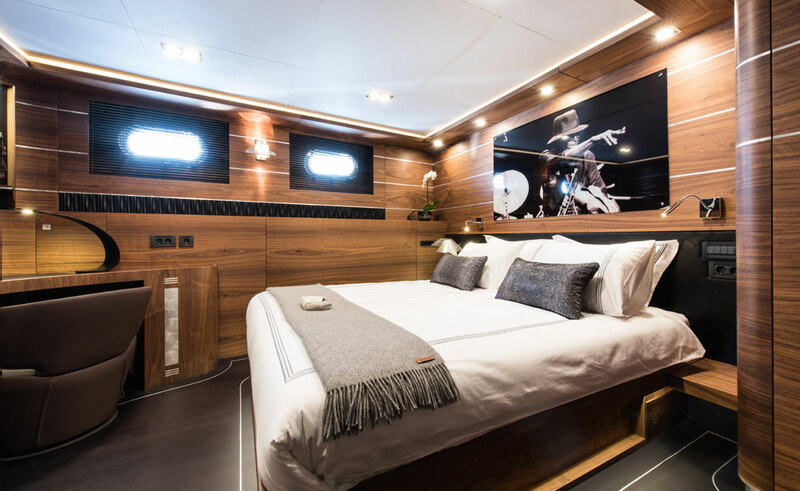 Each cabin has a double bed and en-suite bathroom. 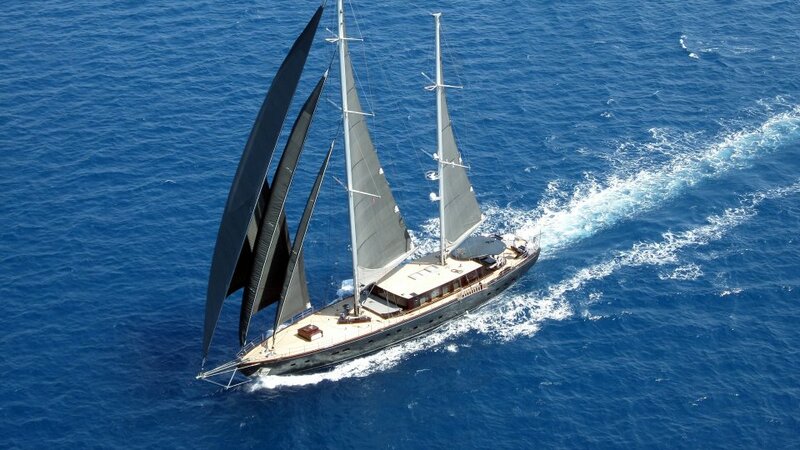 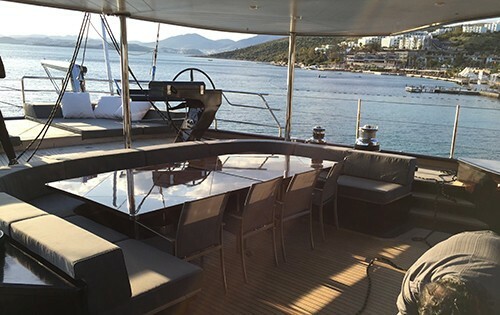 The vessel can be easily handled by a professional crew of 7 members. 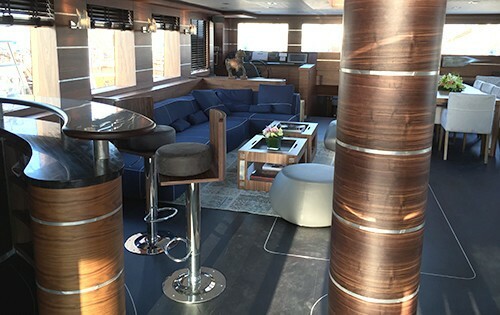 The main saloon offers a welcoming and homely atmosphere. 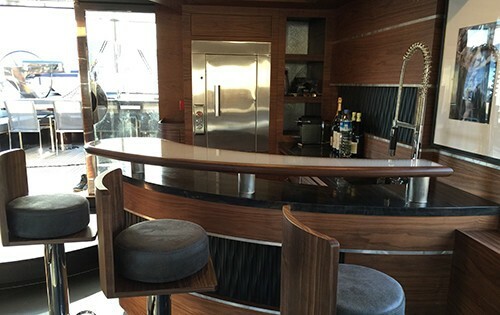 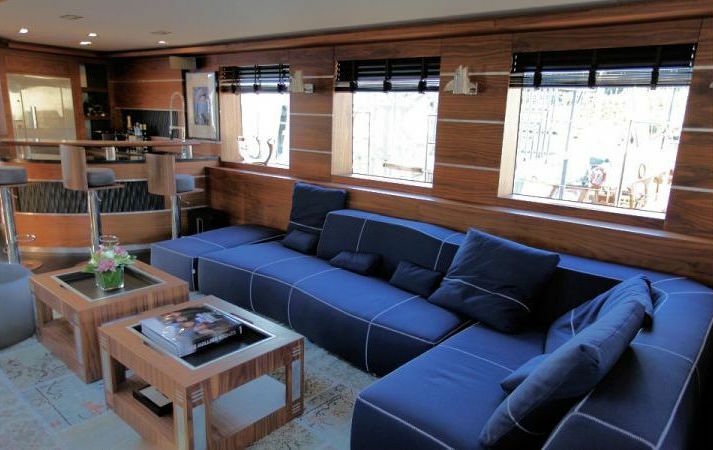 It is fitted with a gorgeous bar area with a large and comfortable corner sofa. 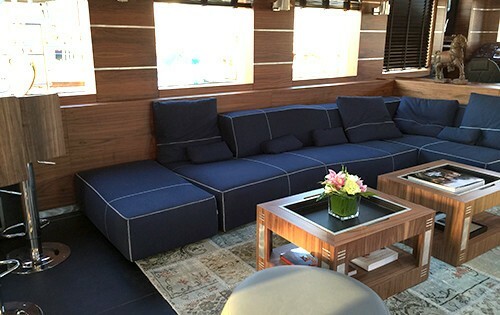 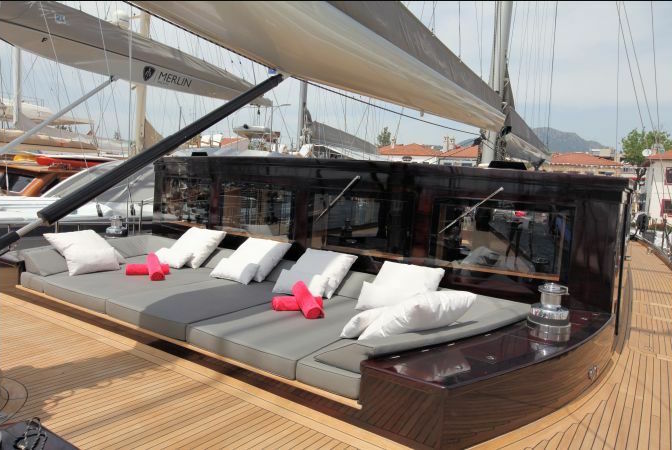 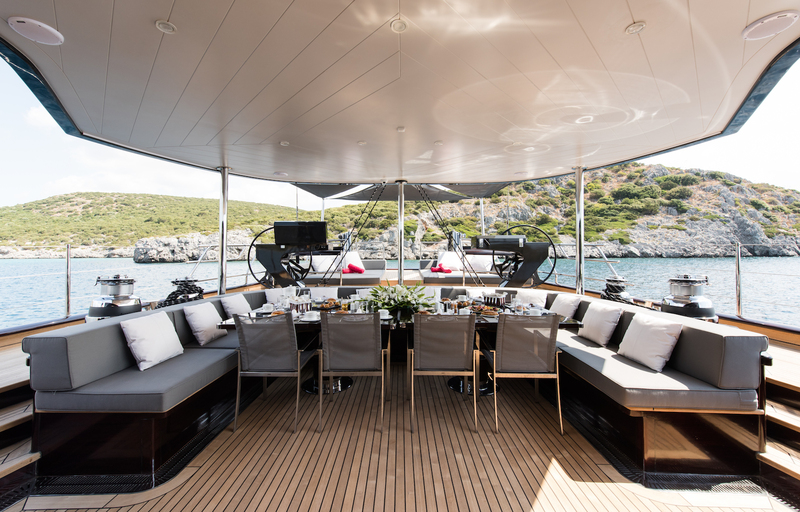 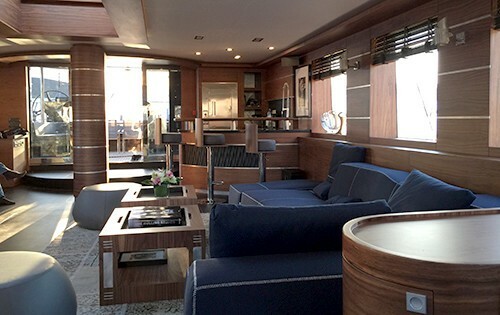 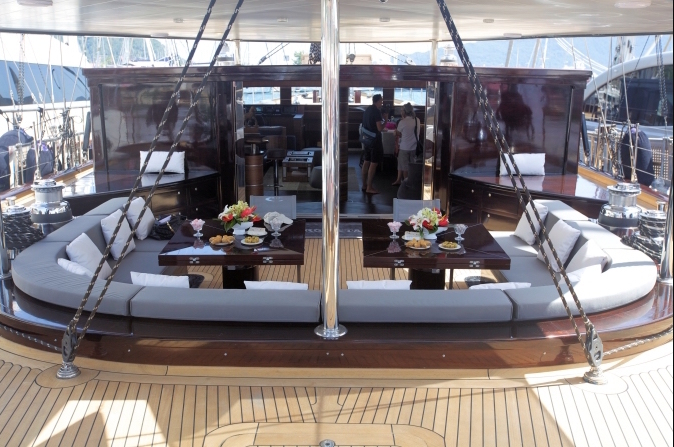 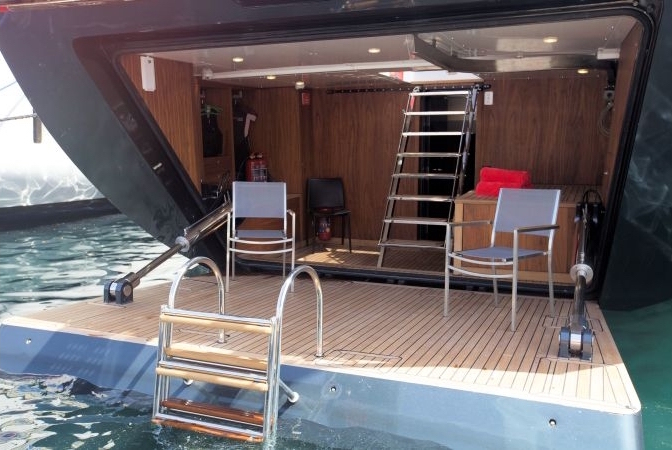 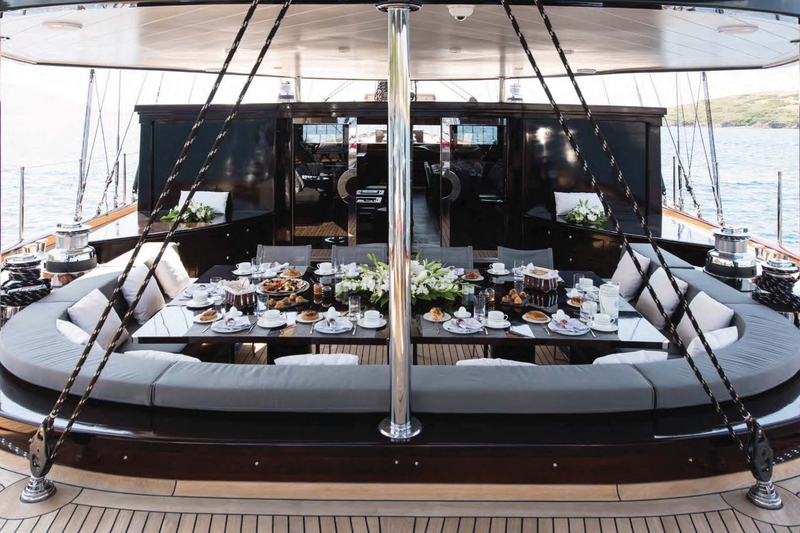 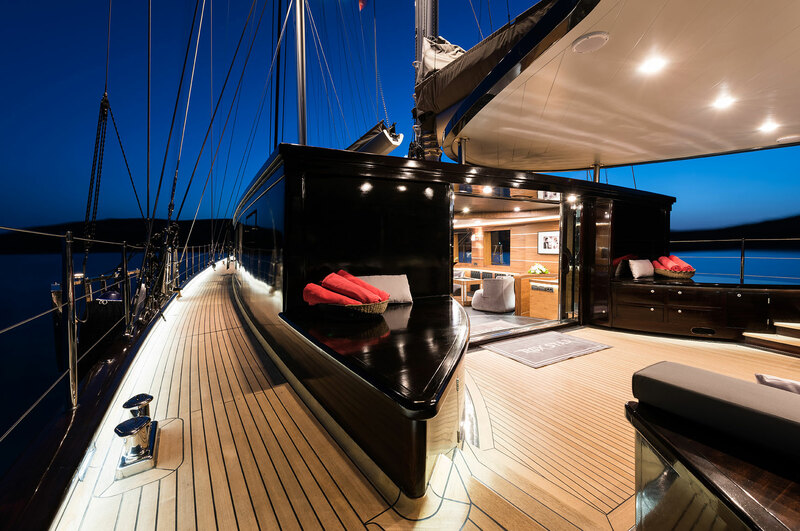 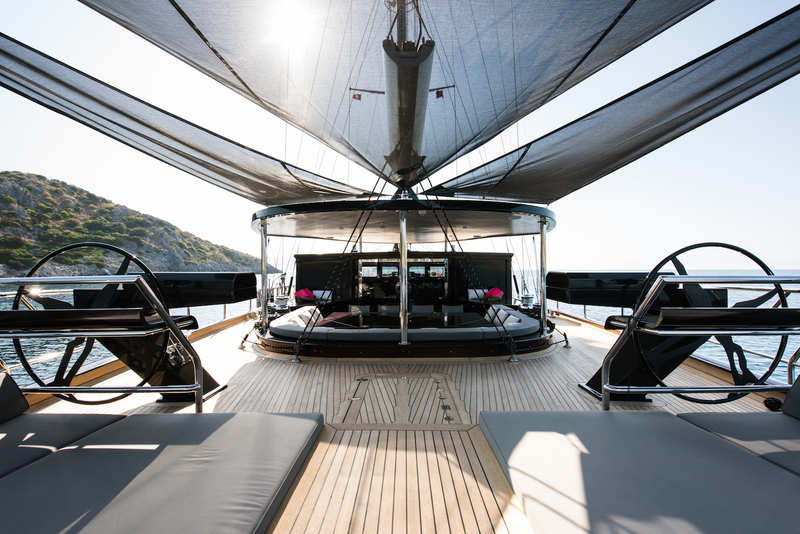 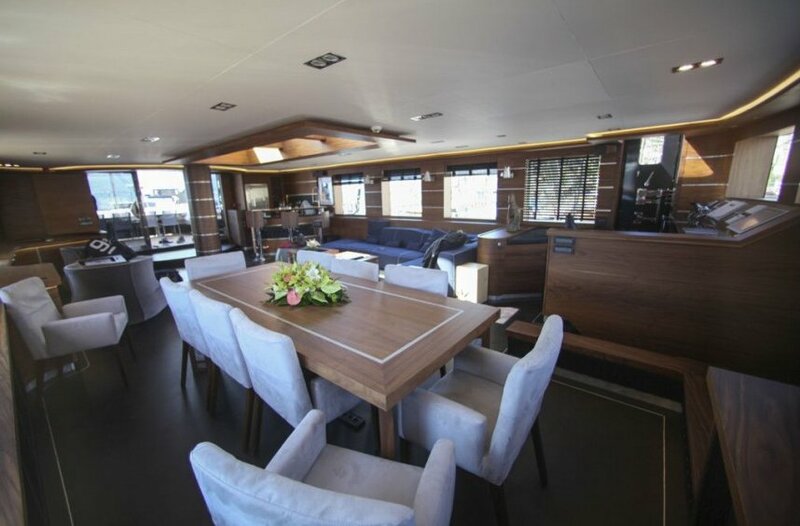 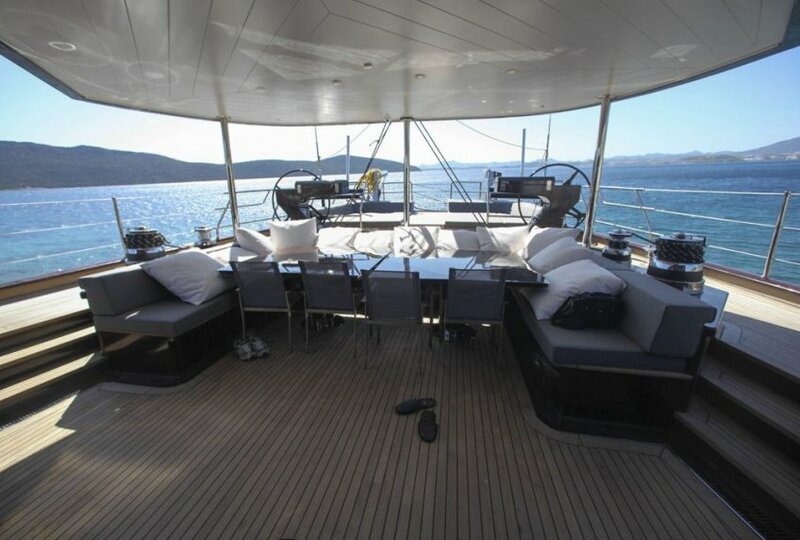 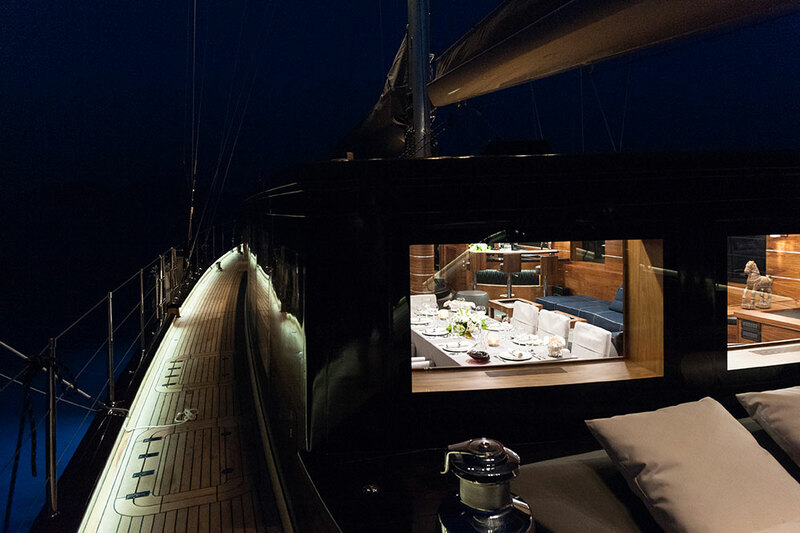 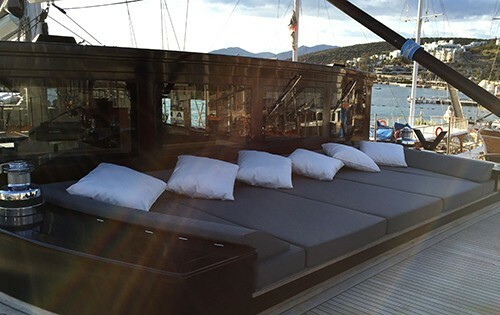 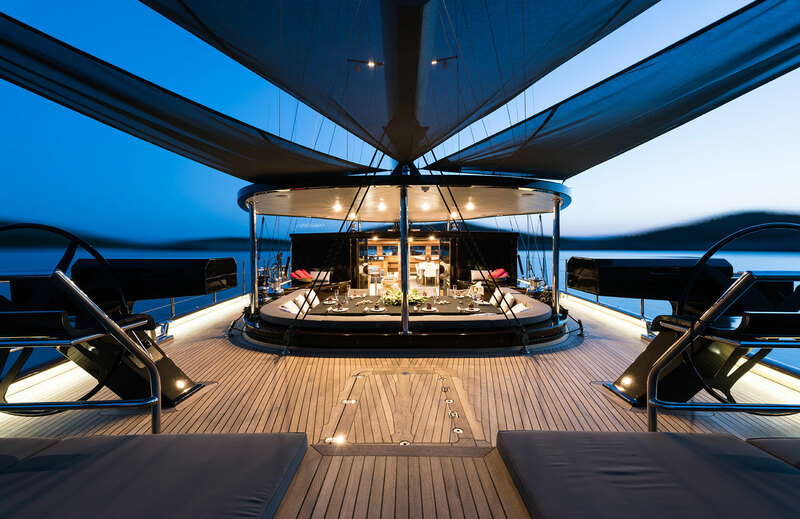 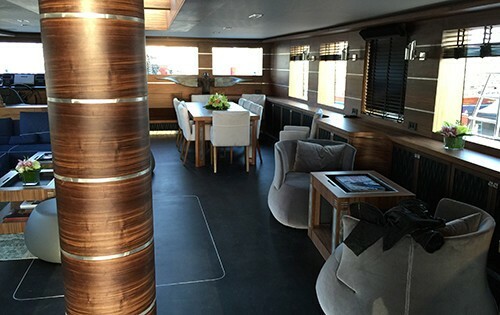 Externally, the main cockpit of this superyacht is covered by a generously fixed bimini that can provide shade to the sun bathing area aft. 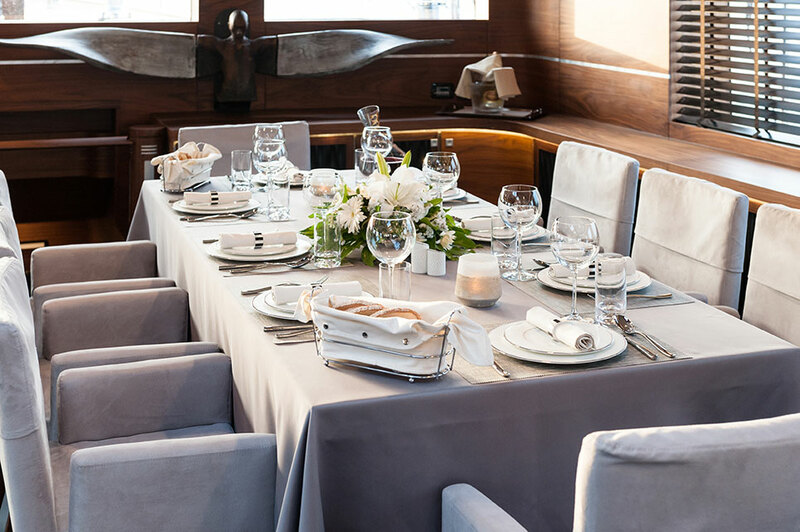 There is a huge U-shaped seating area with a table positioned in the centre, that can comfortably seat up to 10 guests. 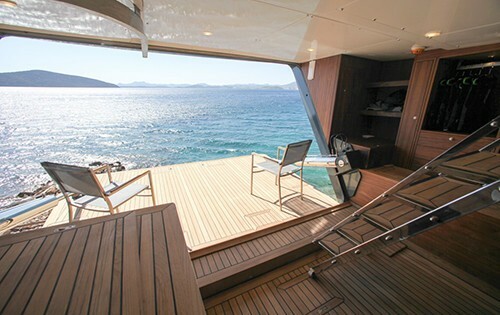 This wind-free area is well protected by the deck house ahead. 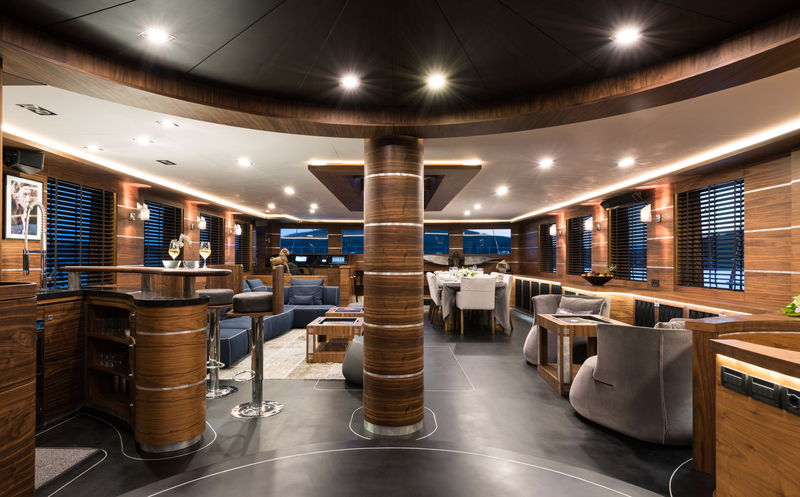 All-steel super yacht ROX STAR can reach a top speed of 14 knots and a comfortable cruising speed of 12 knots, thanks to her twin MAN D2876 LE401 diesel engines. 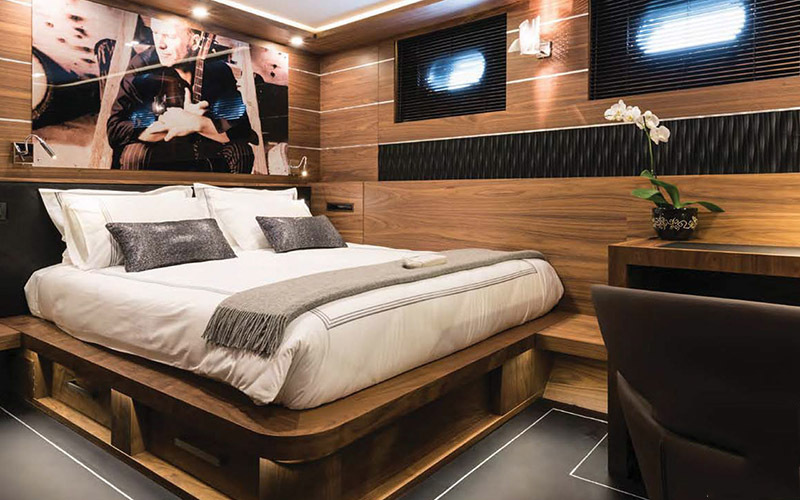 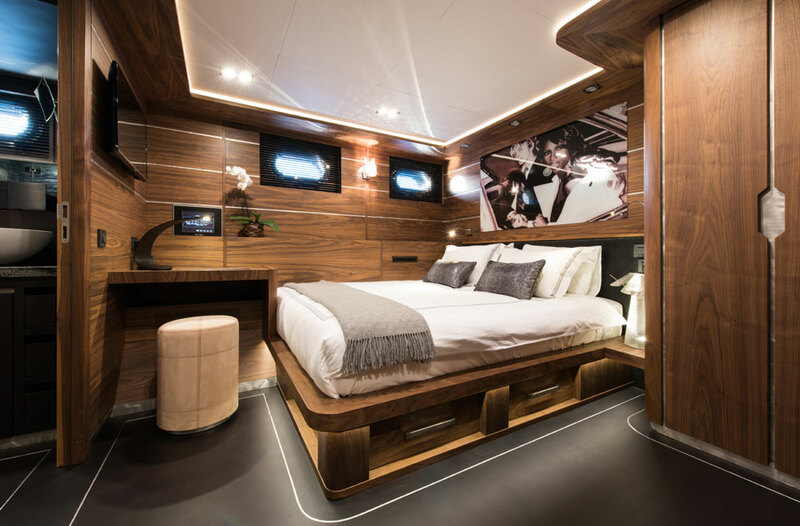 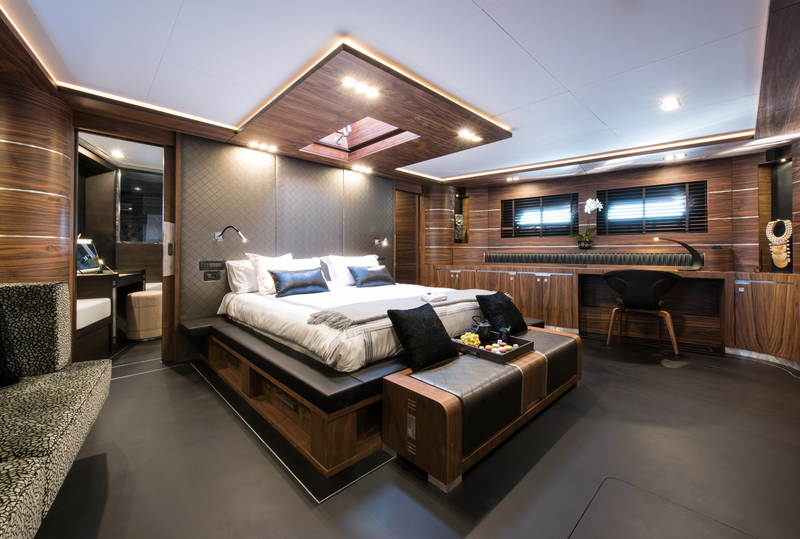 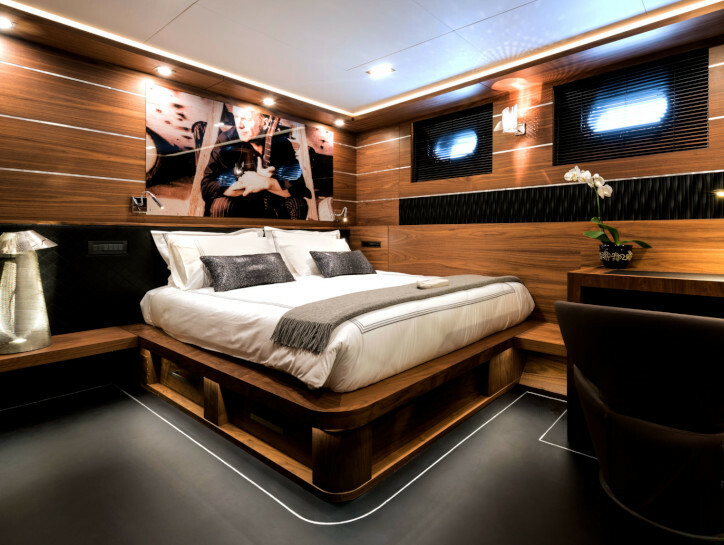 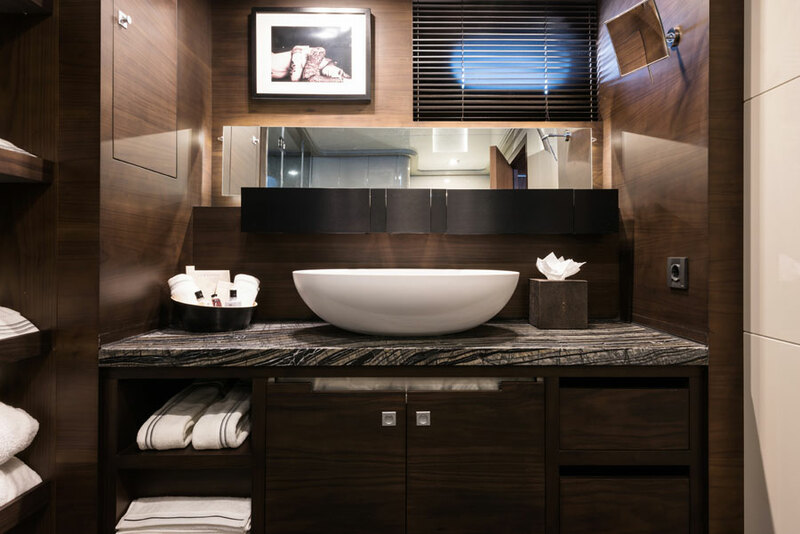 ROXSTAR can sleep up to 10 guests in 5 well-appointed staterooms, including a full-beam master suite with its own skylight that also provides private access to the foredeck above. 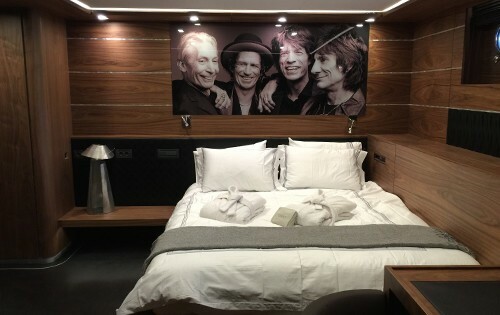 Moreover, there are four guest cabins, each representing a famous rock star. 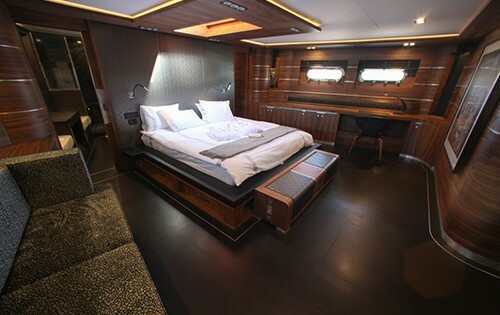 Each cabin has a double bed and en-suite bathroom.